When Nordic flooring installers refused to be using cold welding products due to its hazardous chemicals, BOLON and OHLA Plast understood that something had to be done immediately in order to ensure the health and safety of flooring professionals. Cold weld, what is it? If you haven’t been involved the installation of PVC flooring, you might not know what ‘cold weld’ or ‘cold welding’ is. Cold welding is the process of fusing the two sides of a seam together by using a liquid substance called ‘cold weld’, or ‘chemical weld’. 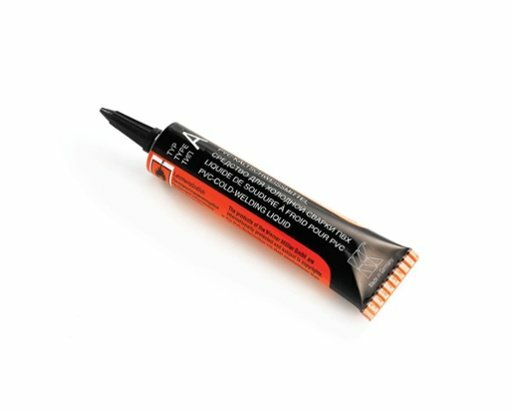 Let’s say you’re sealing two different PVC floor coverings and want nearly an invisible seam without using heat welded seam treatment, then cold welding is the most useful technique. By overlapping two sheets of flooring, double cutting and applying a cold weld, you’ll get an almost invisible seam. Among most flooring installers, cold welding has been considered a superior technique and the cold weld product an essential accessory for a successful seam sealing of PVC floor. A welded seam has much greater strength than one that is not welded, and won’t allow any future dirt accumulation in the seam. In recent months, the general view of cold welding has changed drastically with Nordic flooring installers refusing to use cold welding products due to its main ingredient; Tetrahydrofuran. One of the main ingredients in cold weld, tetrahydrofuran (THF) is a hazardous chemical that poses danger to humans, animals and the environment. It’s highly flammable and may lead to irritation of the eyes, sore throats and breathing problems. Recent studies have also found that exposure to Tetrahydrofuran can damage the central nervous system and impact negatively on the human brain. The classic cold weld for PVC-flooring. Photo courtesy of Carpetandflooringtools. This is an extremely serious issue, as many flooring installers come into daily contact with welding products and ultimately, the dangerous effects of Tetrahydrofuran. Therefore, in early 2016, BOLON in coordination with another Swedish company, OHLA plast, initiated a conversation on how to address the problem. 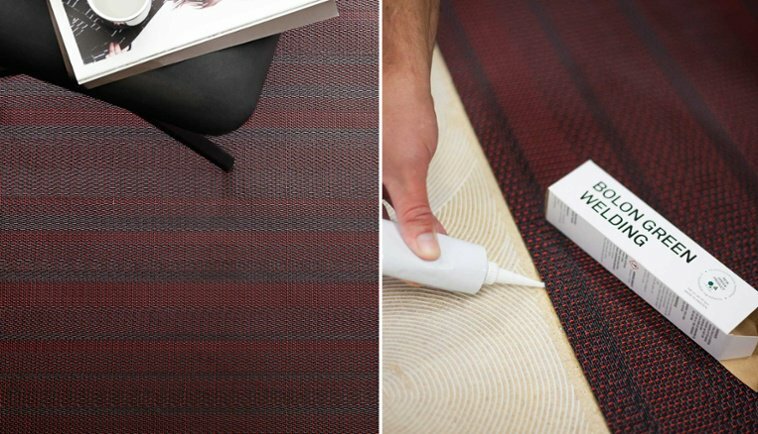 Would it be possible for BOLON, accompanied by OHLA plast, to come up with a healthy alternative that is not extremely flammable, nor posing any danger to people, animals or environments? In October 2017, BOLON and OHLA Plast launched the first ‘green’ product of the market. Although it was only launched on the Swedish market to start off with, BOLON has seen a very positive response among Swedish flooring installers. Torbjörn Klaesson, Supply Chain and Technical Officer at BOLON is happy with the result. “We have received a very positive response so far. The most important thing is that flooring installers won’t skip the welding process due to the hazardous substances the products contain. Apart from creating a healthy cold weld that is not flammable, we also the value of making the installation more efficient”, says Klaesson. BOLON green weld is a natural step in BOLON’s efforts towards a future without environmental footprints. Flooring installers’ health is a top priority in all aspects of the installation process and we are proud to have launched a great alternative to dangerous cold-weld-products. BOLON Green Weld has been available on the Swedish market since October 2017 and is expected to launch internationally in 2018.